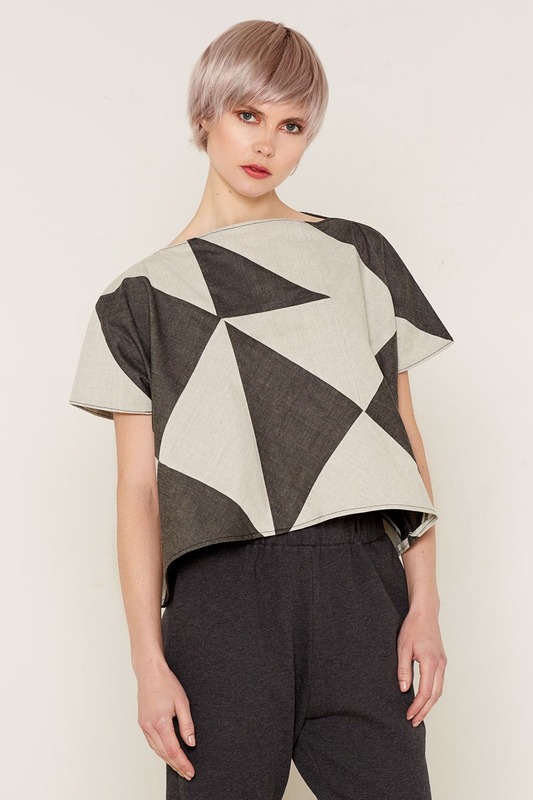 The modern pattern of the beautiful Rhea top is complemented by its sharp, flared sleeves and elegant boat neck. 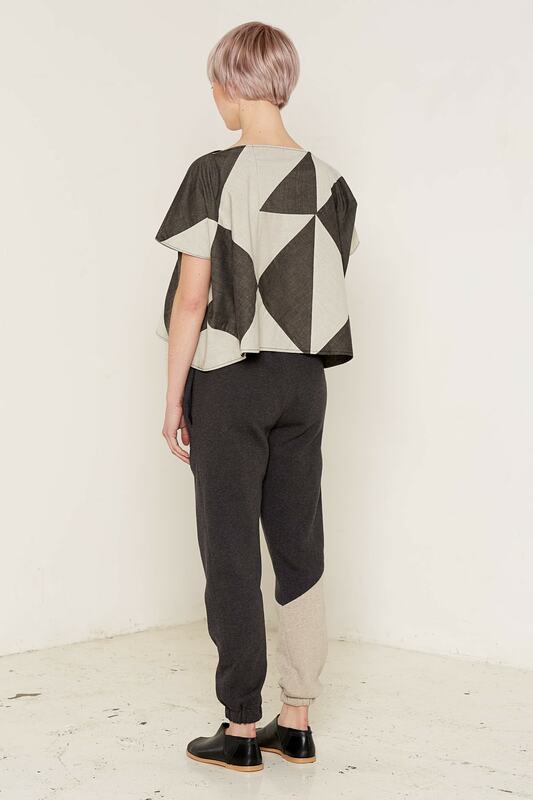 The garment is hand-made from 36 individual cotton triangles, which are stitched together to create its striking geometric design. 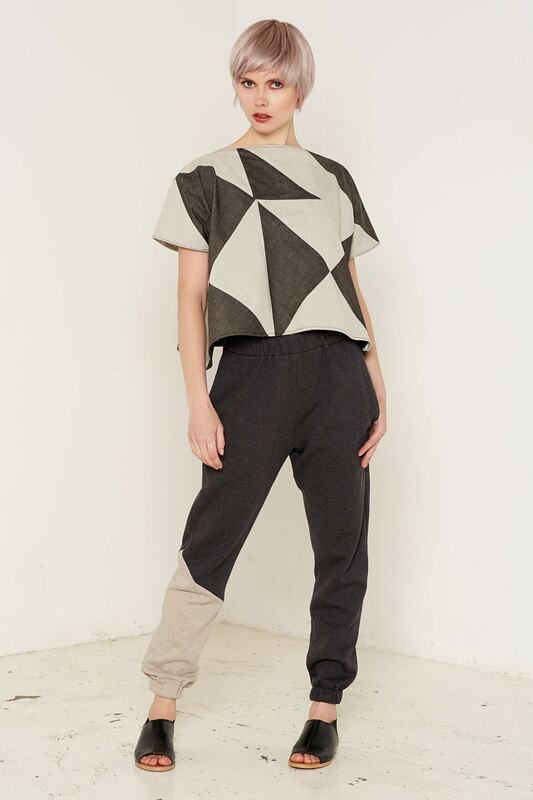 The top is available in one size, and in two equally versatile colour choices: grey and beige, or white and beige. In both cases, the contrasting colours emphasise the gorgeous shapes of the hand-stitched design and the delicate texture of the fabric. We are committed to creating sustainable, stylish clothing, and this garment is made with zero waste, using only certified organic cotton sourced from fair trade suppliers.